GREAT MANAGERS HAVE A WAY WITH WORDS AND WIT. They are governed by a sense of honesty to put their craft and players before all else. William “Bill” Shankly was born and raised in a tiny mining community in Scotland’s Ayrshire mine network of villages. The village of Glenbuck shaped Shankly’s personality, work habits, morality, and sense of duty. As the youngest brother of five boys, each of whom went on to play professionally, Shankly simply lived for football. He also understood what hunger felt like in the most literal sense as poverty was his reality. Such conditions whittled him into a hardworking man and in his autobiography, Shankly compared the location of Glenbuck to Outer Mongolia. Food was scarce, water was dirty, winters were ruthless and the thought of a better life was the stuff reserved for dreams. Football coursed through the veins of the Shankly boys and over the years Bill gained an immense appreciation for the game as a respite for a life down in the mines. As is the case with many of football’s great players and managers born into a life of struggle, it’s important to explore why he was drawn to the sport. Shankly’s plight as a youngster had him resorting to stealing: food to survive, coal to burn and bread to share with his brothers. His formative years were spent entirely in destitution that would either make or break him. Whereas many of football’s greatest managers enjoyed a footballing education played on the manicured pitches, in nice classrooms and surrounded by opportunity, Shankly’s early years were balanced between playing football with his brothers and friends, fighting off fatigue, mine gasses, rats, eating spoiled vegetables and stale bread, and carving out a meagre existence. In the early chapters of his autobiography Shankly, he states: “We were never really clean. It was unbelievable how we survived. Going home to wash in a tub was the biggest thing. The first time I was in a bath was when I was 15”. At home and in primary school, Shankly was exposed to strict behavioural standards that he would later rely on as a player and manager. Shankly left school aged 15 and worked in the mines with his brother until the mine closed and unemployment became a reality. Inspired by Scotland’s powerhouse football clubs in Glasgow Rangers and Celtic, Shankly was a blue-collar, role-playing footballer with hopes to be seen and signed to a professional contract. Trials with small clubs around Glenbuck led to Shankly playing, at a stretch, semi-meaningful games until Carlisle United granted him a month-long trial after being scouted. Shankly played the 1932/33 season at Carlisle United and featured as a right-half whose game was built on playing simple, tough and energetic football. At season’s end, Carlisle United entertained a bid from Preston North End where his discipline, tackling ability, willingness to run for days and decision-making to pass and move – a tactic that would serve him well in the future – led to a successful debut season. Shankly continued to play for Preston and won the FA Cup in 1938 – the highlight of his playing career. Internationally, Shankly turned out for Scotland 12 times. His performances matched his personality as a young Shankly showed he was willing to run, compete and play any role his country required of him. The Second World War broke out when Shankly was 26 and halted his club career; however, he continued playing wartime exhibitions while serving in the Royal Air Force. By the time professional league football resumed in 1946, Shankly was 33 and his best playing days were behind him. He stayed with Preston until he retired in 1949. However, Shankly’s evolution was just beginning. His career as a manager started with Carlisle United. He enjoyed the array of footballing methodologies required to be a coach, but valued being a leader above all else. Shankly hinged his success as a manager on approaching the game with the same set of principles that helped him get by in life: hard work, honesty, bravery, resilience and common sense. The Scotsman required his players to understand what struggle meant, felt like and tasted like, so they would never take anything for granted – including the fans and city they represented. At Carlisle United, Shankly’s demands that players function as a unit and exhibit an unrivalled work ethic transformed the club and improved its standing, going from 15th place without Shankly the year prior to finishing in ninth place by 1950. The following year, Carlisle finished in third, almost gaining promotion. Through careful scouting and motivational techniques rooted in early sports psychology, Shankly made his players feel ten feet tall. One of his greatest strengths was his ability to man-manage and garner fan support to rally behind the team. 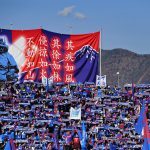 The team-first ethos was contagious and by 1950/51 ticket sales spiked as the club pushed for promotion and squared-off against Arsenal in the FA Cup. However, a dispute over player bonuses caused Shankly to resign from Carlisle as he accused the club’s board of going back on a promise to pay the players more for finishing in the top three. In 1951, Shankly managed Grimsby Town and made a run at promotion in the 1951-52 campaign. His team missed out by three points to Lincoln City. At Grimsby, Shankly’s coaching evolved from the motivational to the methodical. He demanded his teams play small-sided games for hours with consequences for the losing sides, not out of a desire to punish players, but instil in them the will to compete for everything. 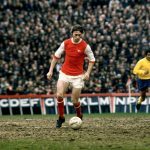 He drilled set-piece routines into his players’ heads and developed a system of early counter-pressing that would spark into counter-attacking football most post-war teams could not cope with effectively. The following year, Grimsby continued their good run of form under Shankly’s tutelage, which used progressive training and motivational levels with traditional, discipline-based principles; however, much like at Carlisle United, Shankly had a falling out with the board and resigned. The Grimsby Town adventure led to a placement and rebuilding project at Workington, who, in 1953/54, were rooted at the bottom of the Third Division North. Shankly’s skill as a manager extended to his willingness to perform the unglamorous tasks for the good of the club himself. His duties included answering phones, delivering letters, typing team sheets, depositing and withdrawing payroll cheques, negotiating field protocols as Workington shared its ground with a rugby team. The problem, again, that Shankly encountered was such work and ambition was generally one-sided and difficult to maintain by boardroom members and support staff, and by November of 1955 he was off to Huddersfield Town, this time as an assistant manager and reserve team coach. At Huddersfield, his roles suited his ability to spot players and utilise their talent. Shankly’s time with Huddersfield Town saw him back in the manager’s position before long and fully utilising his crop of talented youngsters – most notably a 16-year old Denis Law and future 1966 World Cup winner Ray Wilson, among others, whom the board was keen to sell-on for a profit that wasn’t necessarily to be reinvested back into the football club to buy replacements for Shankly. 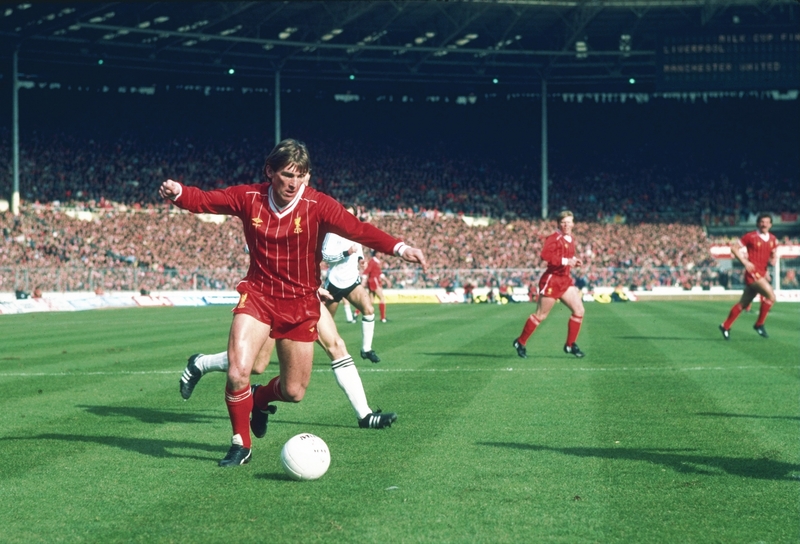 By now, however, attention from another board was beginning to ruminate – and not for the first time – as Liverpool, then in the Second Division, came calling. In December 1959, Bill Shankly arrived at Anfield to a club that was not only stagnating, but was struggling on the field and on the administrative front. The stadium itself was literally falling apart. Shankly once said: “I don’t know if you ever saw Anfield when I came … but it was the biggest toilet in Liverpool.” Shankly, a man whose childhood and adolescence were rooted in poverty demanded the club make the necessary changes immediately. At Liverpool, however, something felt different for Shankly and he did what great managers do – connect with the city and the people. 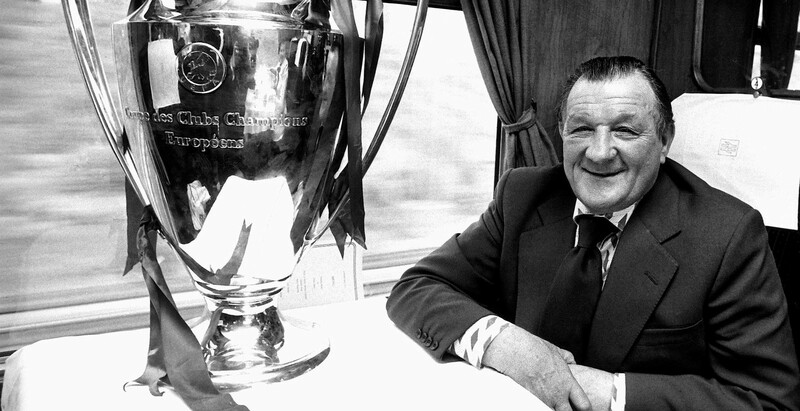 He wisely connected the spirit and humour of the Scottish people with the people of Liverpool. “I’m one of them. They’re that kind of people. They’re arrogant, cocky, they are proud … and that’s how I wanted the team to be.” In the early Shankly years at Liverpool the Scotsman exhibited a remarkable ability to manage “outside the club” by making the people emotionally invest in the team and the team emotionally invest in the people paying to watch them play football. On the staffing side, Shankly enlisted the help of Bob Paisley and Joe Fagan – two men that would play pivotal roles in Liverpool’s success during and after the Shankly era. The Scotsman also placed importance on the men having a strong personal rapport in addition to sharing the same philosophy and vision for Liverpool Football Club. Much like the dynamic management duo of Brian Clough and Peter Taylor, Shankly, Paisley and Fagan played to each other’s strengths. Shankly was the mastermind of motivation while Paisley provided the tactical nous to ensure Liverpool’s success on the field. Introductions of elements like the famous ‘Boot Room’ along with improvements to Melwood were only the start. The entire match preparation and training methodology at Liverpool had to change as well. Facets of football management that Shankly instituted are simply non-negotiable today. Additionally, personality plays just as much of a role in a manager’s success as results do in football. Shankly and his staff at Liverpool revolutionised how the team trained and played football – decisions that would continue to pay dividends for decades as Liverpool became one of world football’s most dominant clubs. The foundations Shankly laid at Melwood manifested in success at Anfield. In an age where long, punishing training runs forced players to plod around on the pavement were the norm, Shankly opted to mandate fitness work be done with a ball at the foot his players. Small-sided games, proper warm-up and cool-down periods, periodised technical workouts, circuit training and segmentation practices created a standard that would eventually come to be known as ‘The Liverpool Way’. Players showed up to Melwood with a professional approach as the coaching staff experimented with pass and move patterns of play and routines. The team ate together, stretched together, entered and exited the training ground and stadium together – Liverpool Football Club became the star over any one player. At Liverpool, Shankly did what he had failed to do at previous clubs, which was to ensure the board could match his ambitions related to all functions of the club ranging from facilities, player transfers and sales to messaging with the fans. Liverpool’s ascension from the Second Division was contingent upon Shankly convincing the board to spend money on good players without the hemming and hawing that could derail transfers. At Liverpool, Shankly and his staff exhibited an uncanny ability to sign players like Ian St John and Ron Yeats to form the spearhead and backbone of the attack and defence respectively. Rummaging through the junior side at Melwood and the reserves, Shankly brought players through like Tommy Lawrence, Ronnie Moran and Roger Hunt. By 1963, Liverpool were promoted and its academy had become a football mill, churning out players like Tommy Smith, Ian Callaghan, and Chris Lawler that fitted Shankly’s philosophy perfectly. By 1964, Shankly set his sights on domestic dominance and in 1965, the club won its first FA Cup. With the FA Cup success came European football and in the 1964-65 season, Liverpool reached the semi-finals of the European Cup. Always looking for a competitive advantage, Shankly toyed with the club’s kit, switching to an entirely red kit to “make the players look taller”. The following year, Liverpool learned the rigours that European football inflicted on domestic league play. 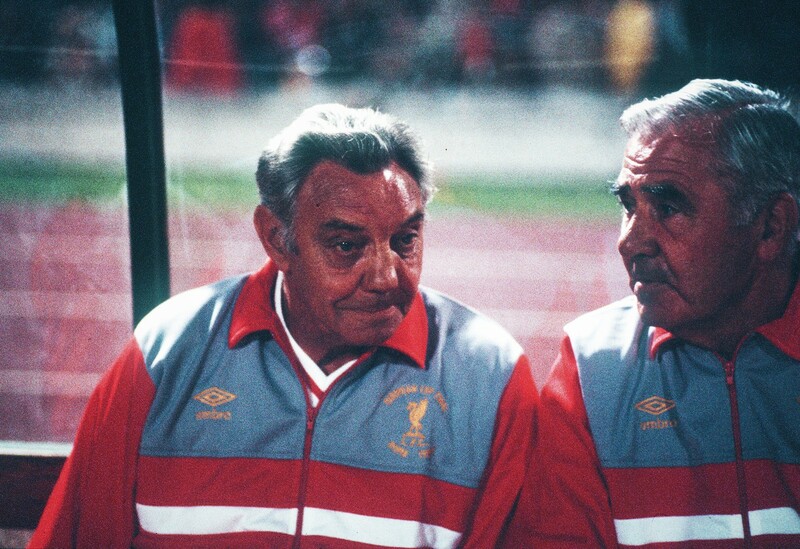 Shankly, Paisley and Fagan analysed what worked and what didn’t in European competition and unleashed tactical deployments that made Anfield a fortress and European away matches more conservative – a strategy that is well-used in modern football. In subsequent years players like John Toshack, Steve Heighway, Ray Clemence and Emlyn Hughes reinforced Shankly’s resourcefulness and ability to spot players and utilise his scouting network that he created at Liverpool. Chief scout, Geoff Twentyman, a former player under Shankly at Carlisle United, set the stage for continued success regarding player acquisition. Shankly’s pass and move style of play demanded the club not only get skilled footballers but tireless and complete players as well. The impact of Bill Shankly extended far beyond the pitch as he continued to hone his craft through empowering his players through psychology. Without Shankly there would be no ‘This is Anfield’ sign in the players’ tunnel, nor would there be a multitude of European and domestic titles that still remain illustrious. Shankly’s legacy remains the stuff of legend within football, but his methods were well before their time. Very few managers can master the art of man-management, creating a club culture, witty and intelligent oration, and perhaps most importantly, leaving a place better than when they arrived the way Shankly did at Liverpool. Bill Shankly personified the qualities a football manager that can’t be taught in any coaching courses. His dedication to football mirrored the way he was raised and lived his life. Simple, honest, hard working, persistent, tough and creative. In the end, it’s evident that his biggest concern was less about winning and more about doing things the right way.